CX is about action. Is Market Research? Three years ago, Nicole Newton (then Director of Customer Experience with Thomson Reuters, now at Heart of the Customer) spoke at a Market Research Association (MRA) conference. The topic was “Moving from Insights to Action,” about making the move from Market Research to Customer Experience (CX), as we both recently had. The biggest change we discussed was that in traditional market research you’re expected to develop a clear report that shows the research results and the insights generated from the work, and then you’re done. When we moved to CX, the rules changed. We still needed to do thorough research and generate insights. But CX requires you to go further, and drive customer-focused change. The talk seemed to resonate, with attendees afterward asking us about this “customer experience” thing, and wanting to know how they could get involved. Just like us, they wanted to drive change, but felt they didn’t have the mandate. Not everybody felt that way, of course. 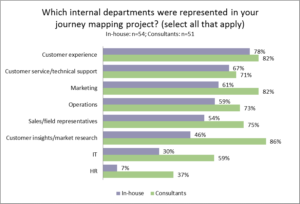 Others confided that they liked the focus on insights, and keeping themselves knee-deep in the data. They didn’t feel comfortable telling the business that they needed to change – and especially weren’t comfortable having this as a core job requirement. The last three years haven’t been kind to this attitude. Businesses expect more. If they invest $100,000-$150,000 in a project, they want to know there will be business impact. And they expect those who lead the research, the ones who know it the most, to be the ones working with the business to lead the change. Which is why I was amused at the MRA’s recent rebranding after their merger with CASRO. They are now the Insights Association. Quirk’s Magazine, long a staple of the market research industry (but which now also includes many CX articles, including two by us), has written multiple articles about the divide between the two approaches. 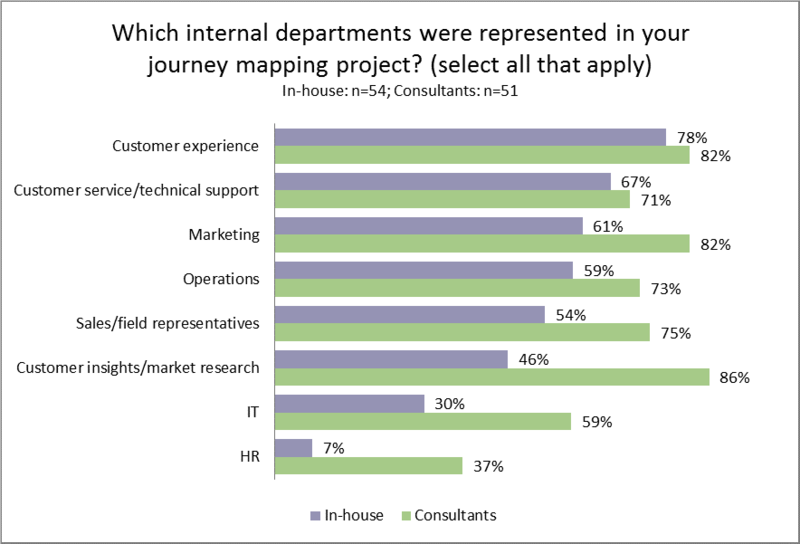 And in our own Journey Mapping Best Practices Survey, we discovered that half the time, CX practitioners didn’t include market research in their projects – despite using market research tools and approaches in their journey mapping. Although it was surprising to see that vendors had the opposite approach, including the market research capability more than any other. I’m a huge believer in the power of market research and its practitioners. But the focus on driving insights – rather than action – puts them at risk of being put behind. CX is about change. What about market researchers? Are you really just about the insights? https://heartofthecustomer.com/wp-content/uploads/2017/06/cx-mr-graph.png 601 884 Jim Tincher https://heartofthecustomer.com/wp-content/uploads/2015/01/hotc-logo.png Jim Tincher2017-06-23 01:31:582017-06-23 20:55:06CX is about action. Is Market Research? If market research isn’t actionable, it’s a waste of time and money. It is, however, driving different kinds of change than CX. Ad not testing well? Then don’t run the ad–that’s a change. The product test shows it’s too salty–reformulate. And so on.